The moment is here folks. 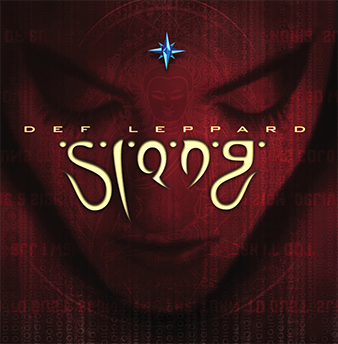 Def Leppard have officially released the re-mastered version of Slang which joins previous re-masters Hysteria, Pyromania and Adrenalize. The release features the original tracks which have been spruced up making them louder and prouder than ever before, as well as several demos tracks, B-sides and treats for any Leppard fan. Slang registers highly on the Leppard intrigue list. It was the album that alienated the older fan base and embraced change which was prevalent in the music world at the time. While some bands ran for cover, Leppard boldly faced the post-grunge world with a bold statement album that saw their image, sound and direction completely shift. Critics applauded it and over time the album picked up many loyal followers. So, now many years have passed and the time has come to re-visit Slang and see how it’s held up all these years. It’s out now on iTunes, Spotify and the usual physical sites. This entry was posted on February 11, 2014 at 8:35 am and is filed under Music, News with tags Adrenalize, Def Leppard, Hysteria, Pyromania, re-issue, re-master, Slang. You can follow any responses to this entry through the RSS 2.0 feed. You can leave a response, or trackback from your own site.